North Carolina's first indoor waterpark is a municipal one. The Blue Comet is the largest water slide, 3 stories tall sending wet riders spinning in a figure-eight. 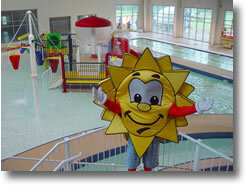 Current pools, a lazy river and 4 more slides also highlight the park's many offerings. Local? Make sure you ask for a discount!